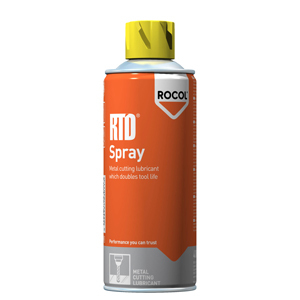 Rocol RTD Spray is an aerosol applied metal cutting lubricant consisting of a concentrate of extreme pressure additives. Rocol RTD Spray applies an economical film metal cutting fluid directly to the cutting zone, particularly in areas where access is difficult.. Suitable for all ferrous metals. Ideal for reaming, tapping, drilling and general workshop operations.